A unicorn has been spotted in Bowdoin. 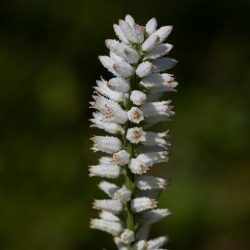 Unicorn root, a rare, flowering plant that has not been found in Maine for more than 130 years, was found this year in Bowdoin, according to the Maine Department of Agriculture, Conservation and Forestry. The 300 flowering stems were found in a damp field on privately property. It was believed the plant had been wiped out. The plant has been found in Maine only three previous times: Botanist Kate Furbish found it growing in Wells in 1879 and Brunswick in 1874. A third specimen was found in Lewiston in 1887. Unicorn root, also known as white colic-root or colicroot, has a basal rosette of lance-shaped leaves and a single, tall flowering stalk with white flowers that appear in July and August, according to the department. It ranges across most of the eastern United States and Ontario, but it is rare in northeastern states. Unicorn root grows in open, moist, sandy ground, and is most often found in tall grass prairie habitats and damp meadows with little to no topsoil.